After months of negotiations with the European Commission and Parliament, the European Union has reached today a landmark agreement to slash plastic pollution from single-use items. This earth-shattering political decision signs off on measures that include bans on single-use plastic cutlery, plastic plates, plastic straws, cotton bud sticks made of plastic and plastic balloon sticks by 2021. 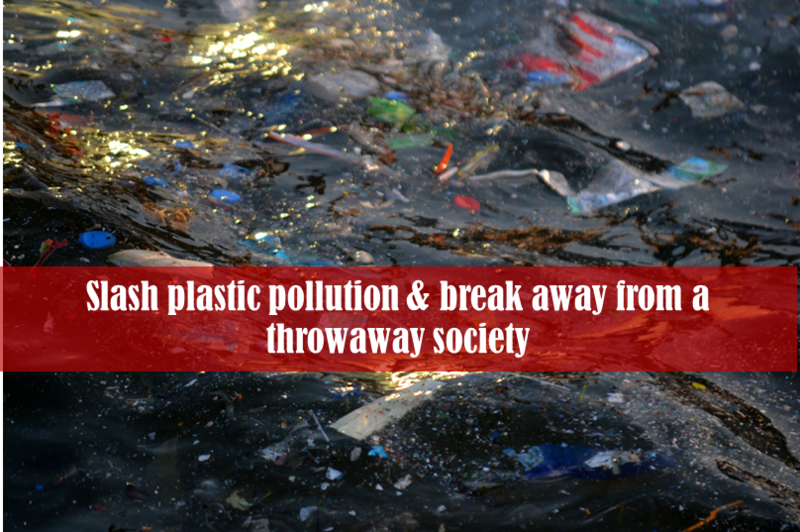 Oxodegradable plastics and food containers as well as expanded polystyrene cups are also banned. The new measures reinforce the application of the ‘polluter pays’ principle and also impose an Extended Producer Responsibility regime for fishing gear to ensure that manufacturers, and not fishermen, bear the costs of collecting nets lost in the sea. The EU negotiators agreed on a 90% collection target for plastic bottles by 2029 and a 25% target for recycled content in plastic bottles by 2025 and 30% by 2030. In addition, labelling on the negative environmental impact of cigarettes with plastic filters thrown in the street, as well as for other products such as plastic cups, wet wipes and sanitary napkins will become mandatory. ‘This is an earth-shattering decision that signals the beginning of the end for our throwaway societies. We are thrilled to have witnessed such a rapid legislative turnaround for the single-use plastics proposal and we are anxious to see how this decision will be implemented in each Member State’, said Dr. Thomais Vlachogianni, MIO-ECSDE Programme/Policy Officer. Today’s agreement is based on the Single-use plastics proposal presented in May by the Commission as part of the world’s first comprehensive Plastics Strategy, adopted earlier this year, to protect citizens and the environment from plastic pollution whilst fostering growth and innovation. The new rules contribute to a broader effort of turning Europe into a more sustainable, circular economy, reflected in the Circular Economy Action Plan adopted in December 2015. The provisional agreement reached today must now be formally approved by the European Parliament and the Council. Following its approval, the new Directive will be published in the EU’s Official Journal and the Member States will have to transpose it after two years.